commented on "Providing mother and baby are well, giving birth as nature intended is the best option. Here's why: ..."
1. The action of birthing naturally, triggers the production of hormones which play an important role in the entire birthing process including post-natal function and wellness. These hormones help the mother and baby to naturally endure the birth both physically and emotionally. 2. When drugs are used during birth, as opposed to allowing the body to deal with the birthing process in a natural way, they pass through the bloodstream to the infant. This can be detrimental to the health of the infant. It's little organs are so brand new and not fully developed enough to deal with the toxicity of the drugs which can have an impact on the health of the baby's liver. The drugs are also detrimental to the mother's health with the possibility of upsetting natural hormone production and optimal recovery from the birth, and also decreasing the likelihood of having positive feelings about the birthing experience in general. 3. During a natural birth via the birth canal, the baby is exposed to the beneficial microbiome of the mother which encourages good microbial balance in the infant for better immunity and general health - that is, provided the mother has a good microbiome profile, which is why it is important for the mother to build up good bacteria in her body prior to getting pregnant and before birthing, and to also avoid taking antibiotics unless absolutely necessary. 4. Recovery for the mother after a caesarean delivery can be a lot more arduous than that of natural birth because the body has to heal from major surgery as well as try to adapt to all the other changes it is going through. 5. Birthing naturally is the way nature intended it, which is why woman totally have the means to bear their off-spring naturally. Their bodies are specifically designed to be able to cope and adapt to the entire birthing process provided they are in good health before and during pregnancy. 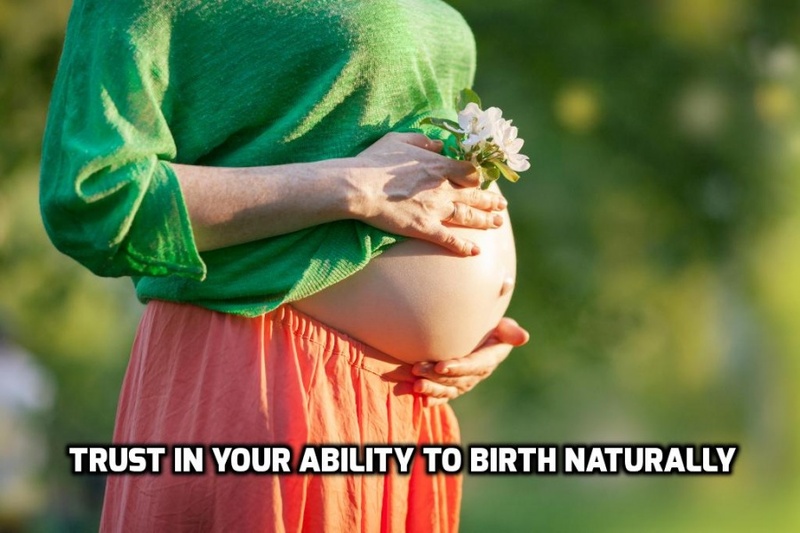 Birthing naturally, gives the mother a sense of triumph, achievement, empowerment and self-worth, which is highly conducive to her post-natal emotional well-being. And it is far easier for her to make that all important initial connection with her new born when not under the influence of drugs. Trust in nature that all you need is provided for. You only need to reflect on the amount of off-spring of all species that are coming in to the world on a daily basis - delivered naturally without a hitch. Have faith in your innate ability to fulfil the natural process of reproduction.